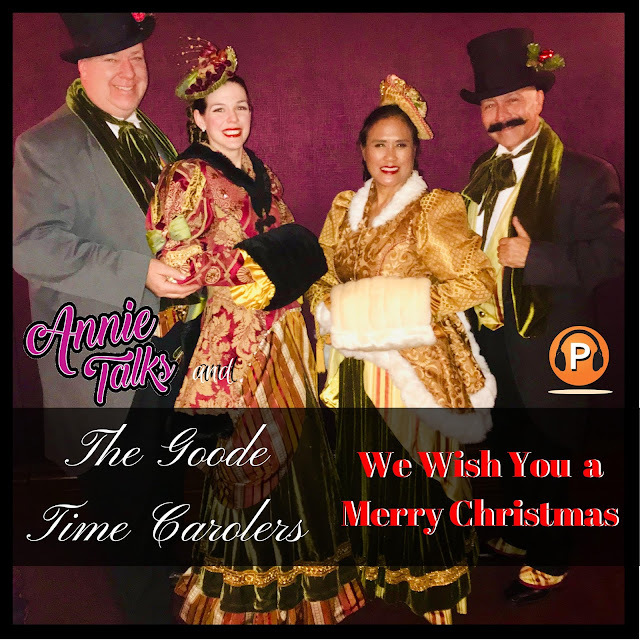 This a very special bonus episode featuring The Goode Time Carolers. Thank you to co-founders Tony Duran and John Hartmann for believing in me and inviting me to be a part of this season's caroling season. A special Thank You to Austin, Phil and Sarah for braving the elements for a great gig at the Irvine Spectrum. Featured in this episode are: Kelsey, Dennis and Tony. It was a pleasure working with you all at the second gig of the day in Laguna. The Good Time Carolers, also known as the Ambassadors of the Spirit of Christmas, spread holiday cheer throughout the Southern California areas from San Diego to Los Angeles, as well as in Nashville, New York, Dallas, Phoenix, Las Vegas, Disneyland Resort, Disney Hong Kong and Disney Shanghai. Did you forget to buy bows for your Christmas gifts? What if you ran out of bows? What do you now? This tutorial will show you how to make a bow using leftover gift-wrapping paper or ribbon. **DISCLAIMER** You’re free to use this song in any of your videos.